To make it in music, there are many things you may or may not have to sacrifice, depending on your situation. It is possible to make music a career. Watch the video for more info. After watching the video, visit www.yourmusicrelease.com for amazing advice on how to release an album. This is a step by step guide! Are online mastering services any good? Lately I have been seeing instant online mastering services, where you can upload your mixed song, and they will master it within minutes. Is it any good? Subscribe to our Youtube channel. 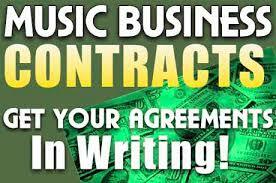 Download music contracts that you can edit and print to your needs. Are you listed in the Worldwide Music Directory? It is free to do, and takes less than 5 minutes. Stop trying to get a major record deal! It would be easier on you if you stop obsessing over getting a major record deal. These days you can easily release your own music worldwide online, and slow and steadily build your fan base to where you can make music a career, making a decent living. It may take some time, but worth it.